If you’re looking for some cool leather armor, we’ve got you covered. Whether you want to reenact scenes from the popular Game of Thrones series, or just wish to step back in medieval times and fight a battle by authentically reproducing the actions of armored warriors, leather armor is one thing you just can’t do without. There are some pretty cool options- you can buy a pre-made design or even build your own. Check out the hashtag #leatherarmor over on Instagram for cosplay inspiration. Even for collectors interested in medieval armor, the products that once allowed warriors to ensure their vital organs were protected without interfering with their agility, is in high demand. Gaming enthusiasts or fans of TV series and shows (like GoT) too like fantasy leather armors that fit their fantasy themes. But before you get ready to search around for leather armors, knowing what to buy and the things to consider are important. Different Varieties: You can get leather armors in a wide variety – from the unisex ones to those tailored for men, women, and kids. Some stores even offer them in a variety of sizes – from small and medium to large and extra large. Before you shop around for your leather armor, you should decide the gender, size, price, and color of the armor you need or would prefer to buy. Costumes? Once you have decided these factors, the next thing to consider is what type of armor you want to buy and what purpose it would serve. While some leather armors are available as parts of a costume or set (and include various pieces like body armor, brigandines, arm bracers, and full arm armors, thigh armor, full leg armor, greaves etc), some others may be available as single pieces. You may even buy DIY leather armor pieces, which you can use to create your own leather armor, or use with an existing armor for added protection or providing an extra detail to the piece. Style: While some leather armors are the no-frills standard stuff, some others may have designs and patterns on them to add a dash of style to the outfit. Due to the additional work and effort that goes into the making of the latter, their prices are usually slightly higher than their standard counterparts. Material Type: The type of material used in the armors also contributes to the final price tag. While armors made of cheaper and thinner hides would cost less, those made of high-quality leather would last longer and cost more. Depending on what kind of defensive power you need your armor to have and the amount you are ready to splurge on it, you should take your final pick. Leather armor is a protective covering which is designed to absorb or deflect the impact of weapons and projectiles as well as prevent bodily harm caused by weapon attacks with the aim of bludgeoning, slashing, and penetrating the body. 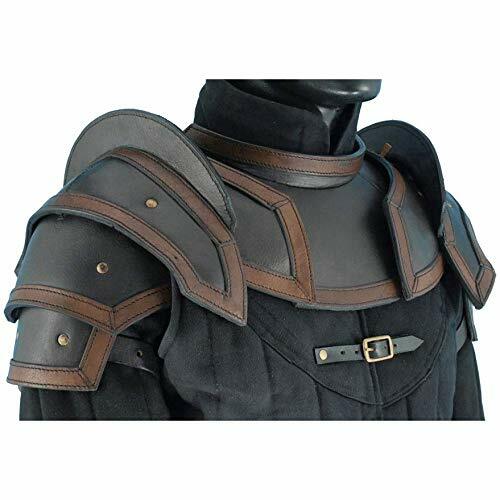 Unlike soft leather used for gloves and coats, armor is made up of hardened leather. You can get various types of leather armors. While some simply use thick leather to create a jacket or a vest, others strengthen the leather by attaching metal plates to it. Though such reinforced armors can protect you from cutting actions, they won’t be of much help when it comes to protection from punctures. If you plan to take on some heavy beating and indulge in serious warfare (like in SCA or LARP battlefield), hardened leather armor is the right thing to choose. While providing you with good protection from punctures, blows, and cuts, these armors also let you remain agile in the field as they are much lighter than metal armors. If purchasing leather armor seems to be a costly affair and you desperately want to have one, perhaps taking the DIY route would be your best bet. Apart from leather, you would require simple tools like rivets, grommets, scissors, leather hole punch, and measuring tape. First, measure the widest portion of your midriff or chest and the length of your body you want the armor to cover. Now, divide the length measurement by four and the width by ten. The end value set will be the side of panels on the armor. Cut the leather into 40 panels of the previously determined size. Lay the panels into the front and back section of the armor. Each section should come out with a 4-by-4 square which will cover your chest and back. There will also be one additional piece on each end of the bottom two rows which will join the two sections. Join all the pieces of the leather armor together with the help of rivets. Place the grommets joining the two pieces to make the piece easier to put on and take off. Finally, don the armor to ascertain how long you need the shoulder straps to be. In the real world, you can find studded leather armor, but it’s usually not like what you see in different video games. Here, the studs on the armor don’t add to its protection, but instead, are mostly ornamental. Studs, which you can see on the armor are gift from D&D to the real world, and add weight without increasing protection. Usually, these armors come with two layers of leather with metal plates riveted between them. Alternatively known as “hardened leather armor,” these pieces are usually made from vegetable tanned leather instead of the most common variety – chrome tanned leather. These armors offer a good amount of protection from rust, strength, and are lightweight. Key reasons behind using boiled leather for making armors include ease of softening, stretching and molding by soaking it in water. An important thing to note is the material returns to its original durability and hardness when it becomes dry again. From there, the process remains almost the same as someone constructing any other leather armor. When you take the DIY route for constructing a leather armor, drafting out patterns first would help you a lot in the process. For creating fitted and adjusted pieces for your armor, patterns are the key. Without them, you may end up wasting a lot of material or come out with a piece that does not fit at all. If you are familiar with the technique of a duct tape mannequin, then you probably have adequate knowledge of how to make patterns. Leather itself is highly resistant to cutting and someone not using a good cutting edge may need a great deal of effort in creating an impression. Besides, the presence of metal reinforcements in a leather armor enhances the protective qualities of the piece. Even a low density of rivets can offer good protection from injuries. However, thickness and specific type of leather also play a crucial factor in determining the armor’s effectiveness. Undeniably, when it comes to mobility and protection, leather armor is perhaps your best bet. A leather armor suit would allow you to protect your vitals while maintaining your agility. Here is a quick rundown of the parts that form a leather armor suit. 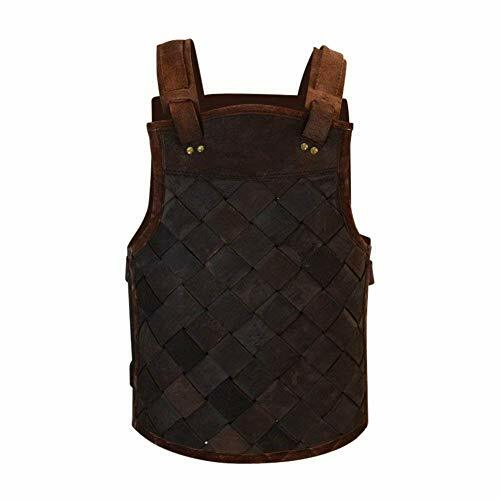 Leather brigandines: It offers a perfect combination of maneuverability and lightness of leather together with the toughness of layered plate armor. Leather gorget: It provides an added layer of defense to the chest, shoulders, neck, and collar. Leather pauldron: Apart from adding defense, it increases the style quotient of the wearer. 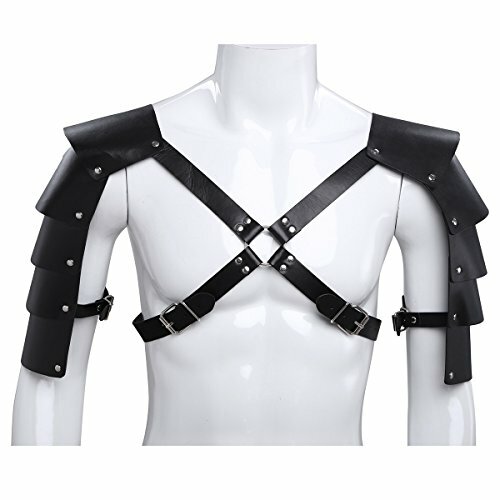 Leather full arm armor: It offers complete protection to the arms and hands of the wearer while letting him/her retain mobility. 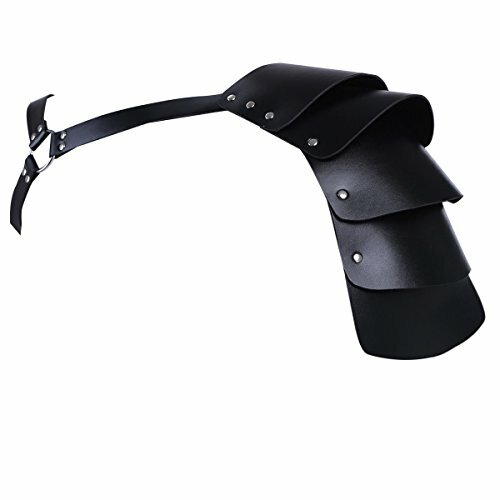 Leather arm bracer: A good pair offers arm protection to a great extent. Leather gauntlet: These structures are meant for protecting the wearer’s entire lower half of the arm, including the hand. 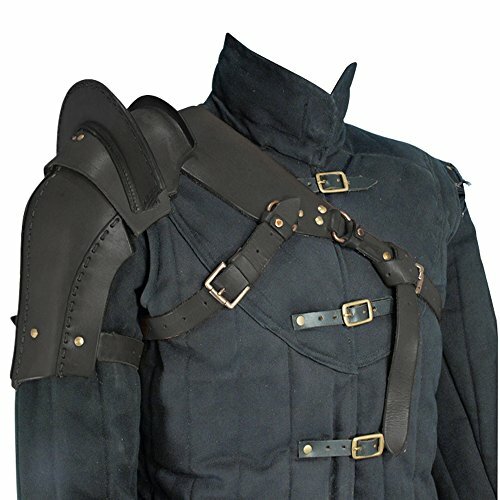 Leather thigh armor: It provides protection for the thigh and upper leg of the wearer. Leather greave: It is used to save the wearer’s skin during reenactments. 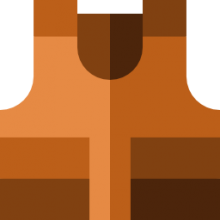 If you want to learn more about the components of a leather armor suit, you can go through this informative piece.